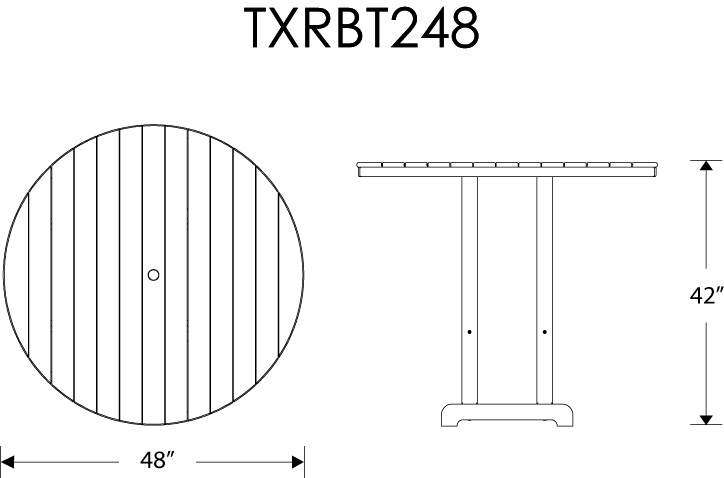 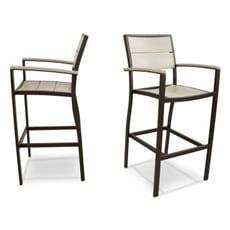 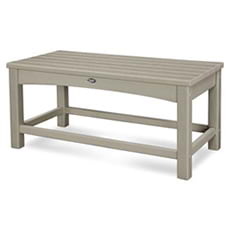 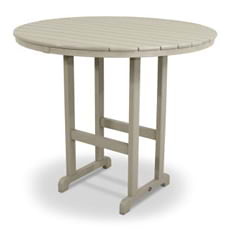 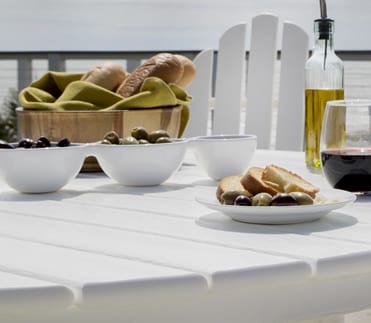 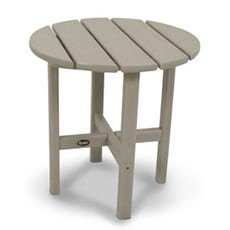 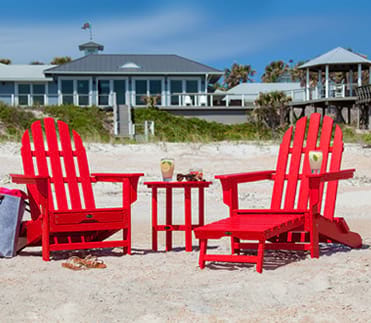 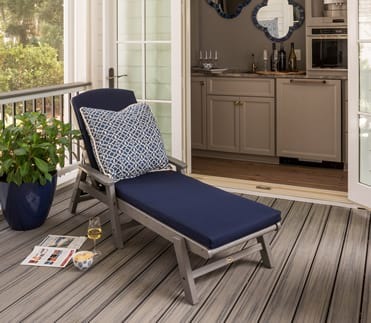 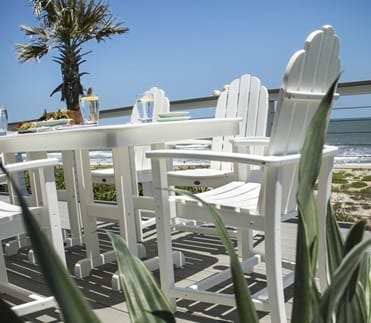 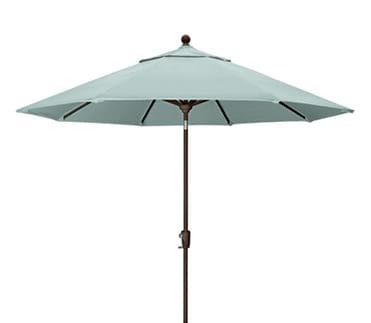 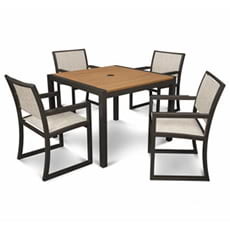 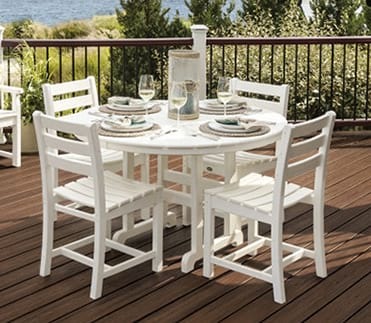 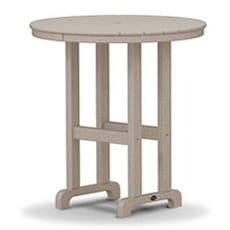 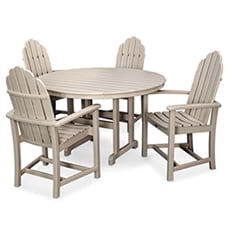 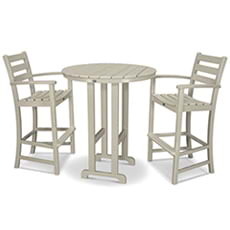 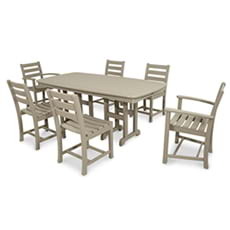 Your outdoor entertaining area may quickly become the hottest spot in the neighborhood once friends discover your spacious Trex® Outdoor Furniture™ Monterey Bay Round 48" Bar Table. 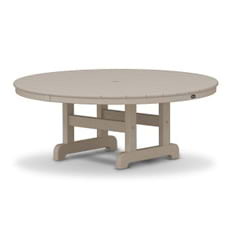 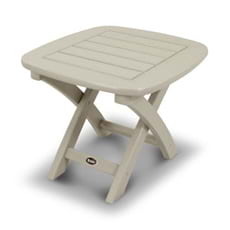 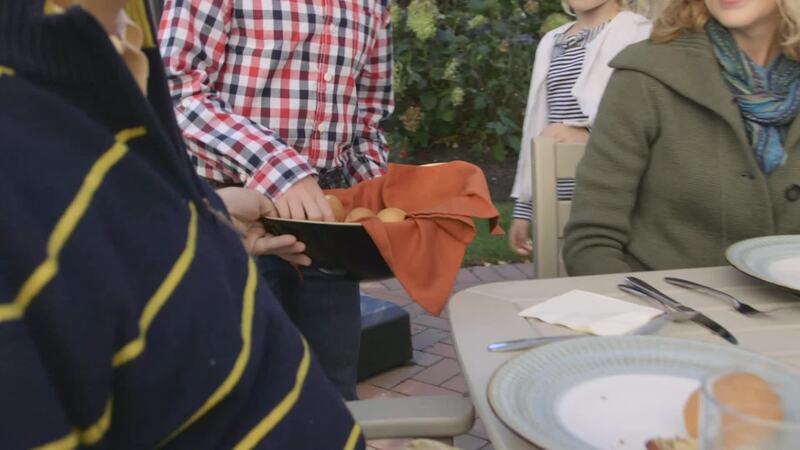 Don’t worry, this durable, all-weather table can handle any crowd. 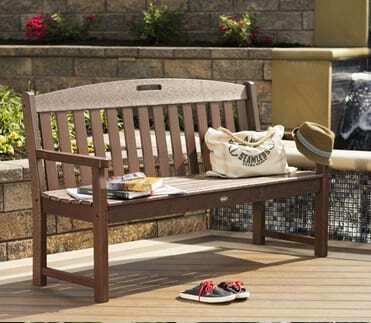 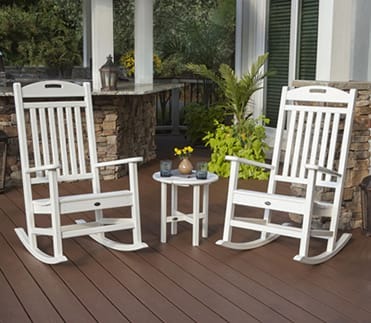 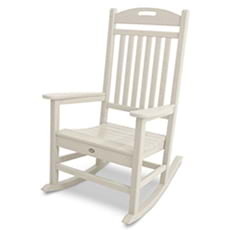 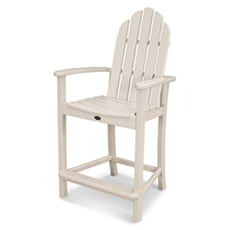 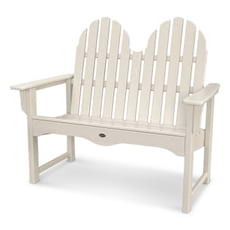 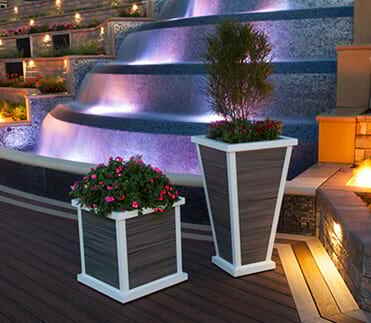 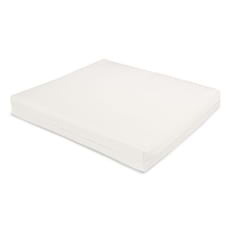 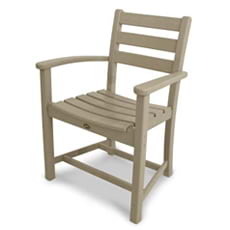 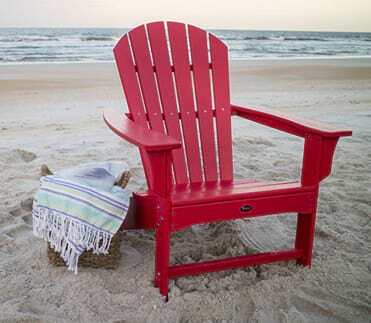 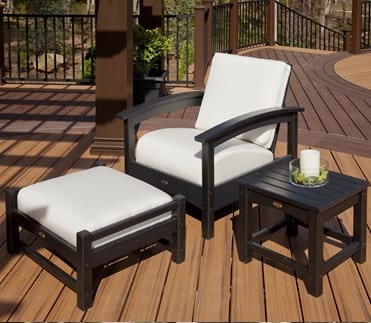 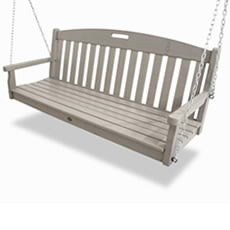 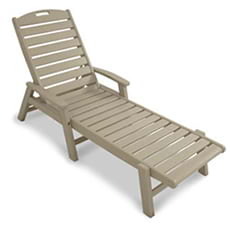 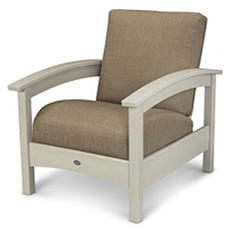 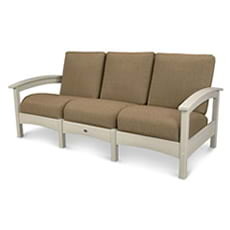 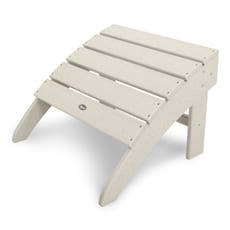 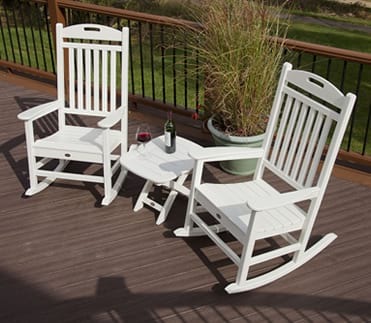 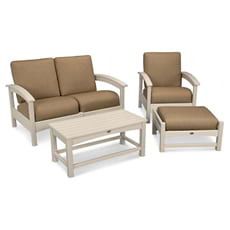 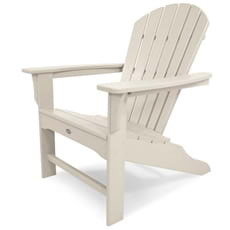 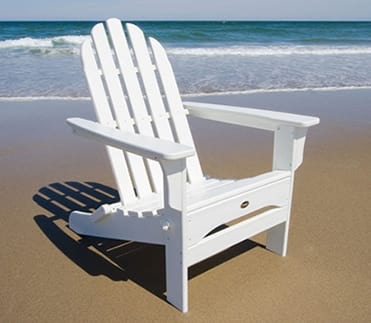 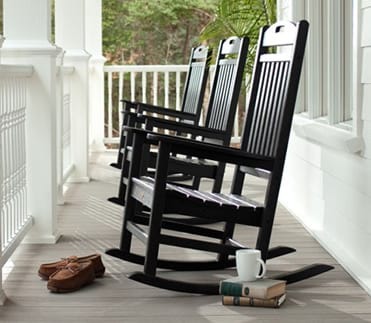 It’s made with sturdy HDPE lumber that won’t rot, crack or splinter. 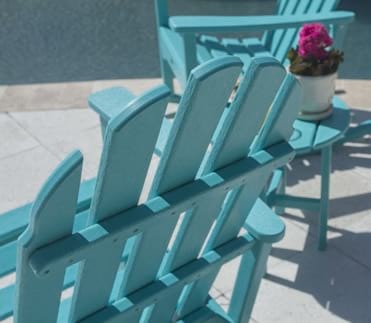 And it never requires painting or staining. 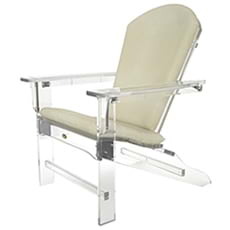 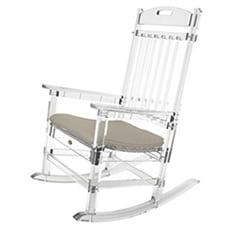 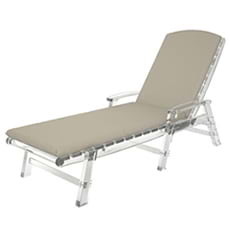 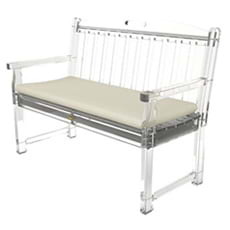 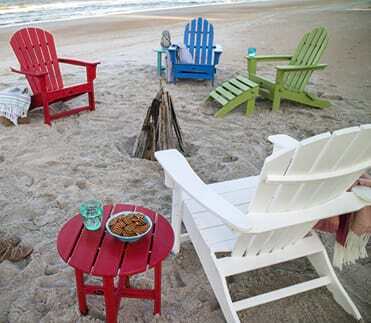 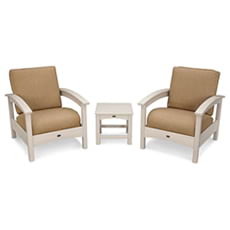 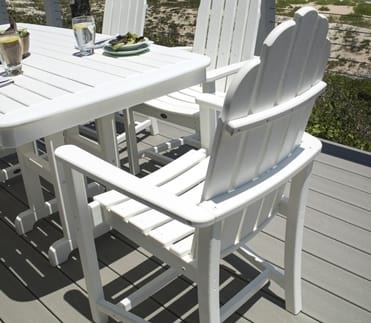 It’s also easy to clean and maintain as it resists weather, food and beverage stains, and environmental stresses. 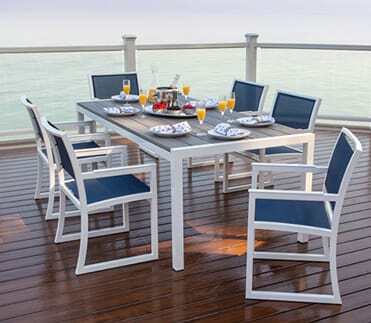 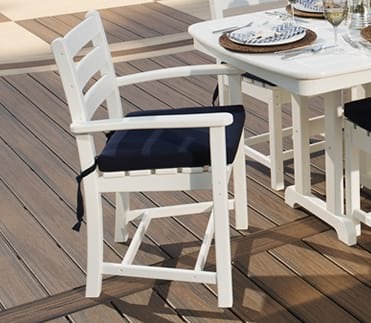 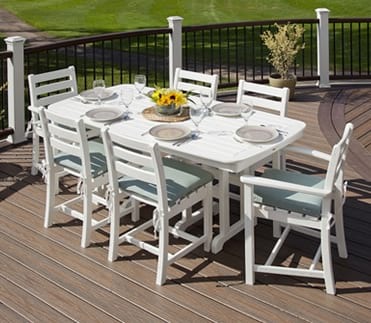 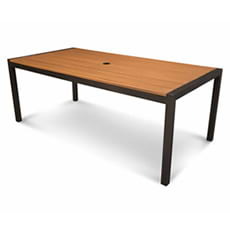 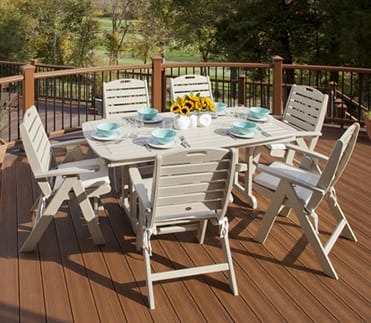 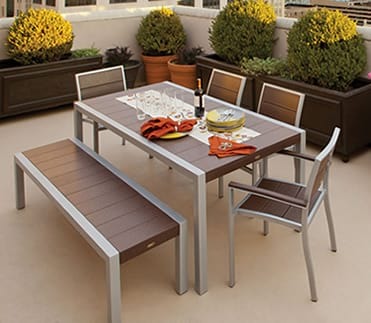 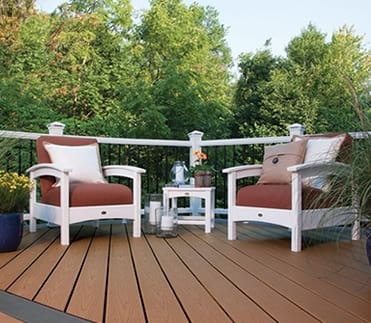 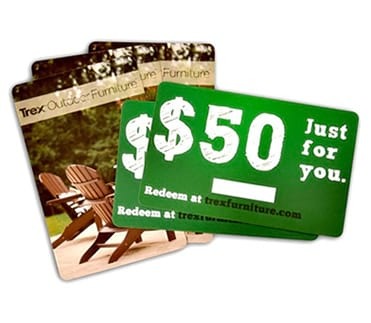 Backed by a 20-year warranty, this table is available in a variety of attractive, fade resistant colors that are designed to coordinate perfectly with your Trex deck.